I’ve decided to enter another photo contest, and this is a begging post asking for your votes, dear reader! If you like any of the photos below, please vote for them so I might have a chance of winning a trip to Japan. 1) Click on the image above or follow this link: http://japanphotocontest.jp/eng/user/?uid=16646 to go to my page (see screenshot above). 2) You will need to either login with Facebook or create an account (sorry about this part, but it’s really easy if you have a Facebook account). 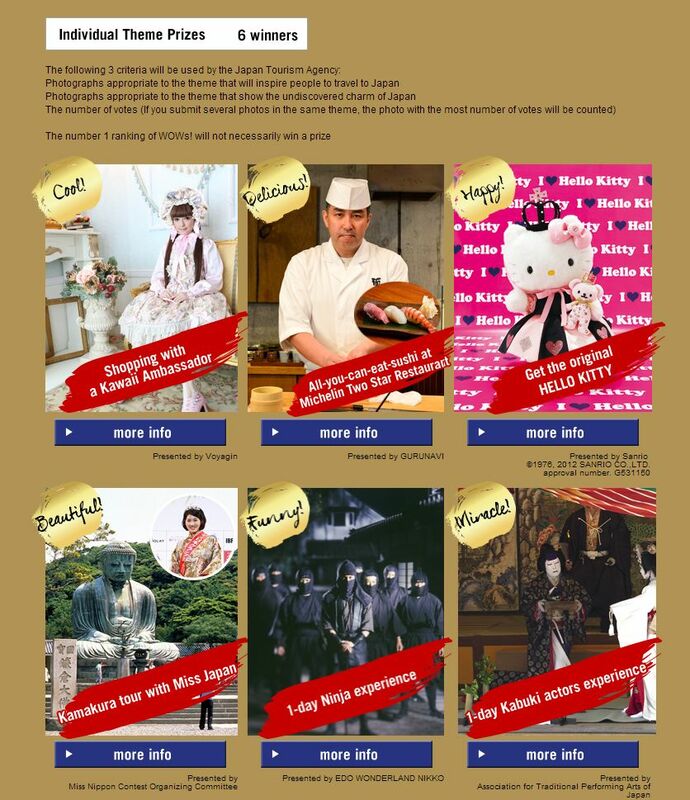 5) When you have voted the WOW button becomes grey and you can’t click it again… until the next day (Japan time). You can come back and vote every day until 15th February if you want to! For more information about the ‘Share your WOW! 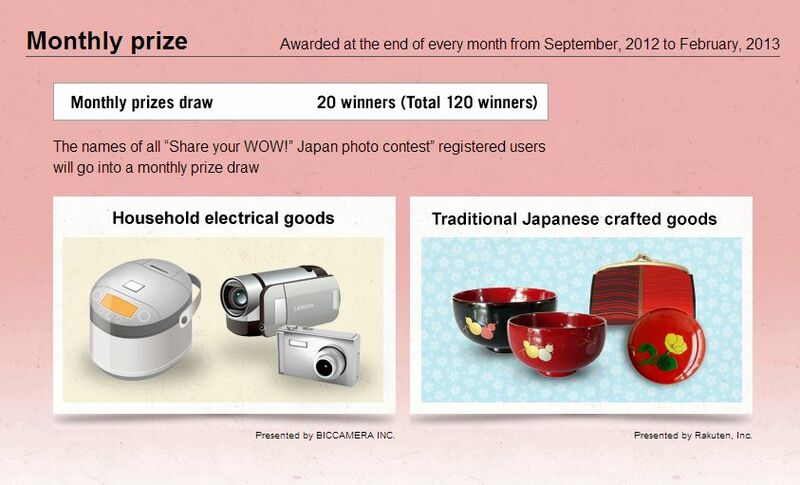 Japan photo contest’, please take a look at the website. 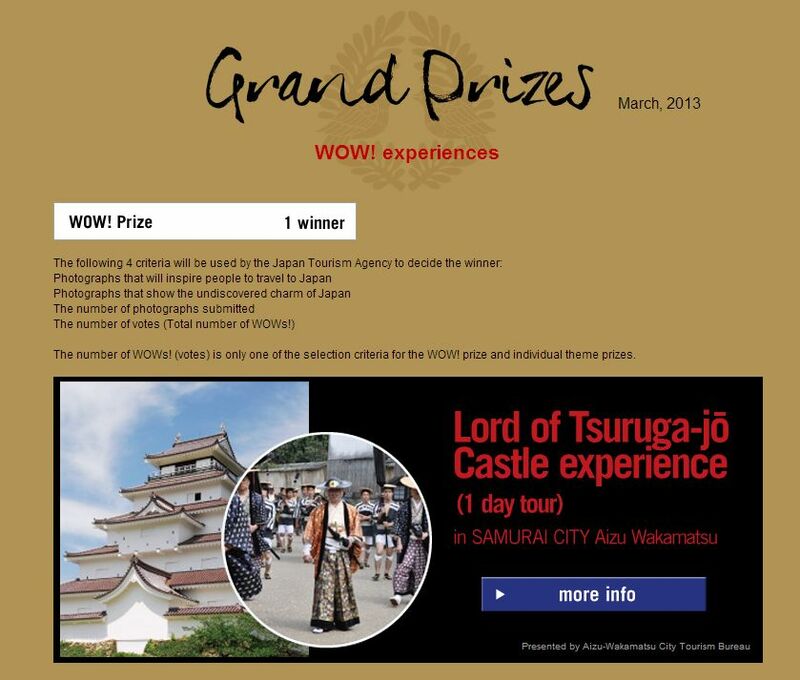 Prizes include various different kinds of tours and experiences in Japan, as well as flights and accommodation. The winners have to be in Japan for the 15th March award ceremony and, although it would be a bit short notice, I would jump at the chance! 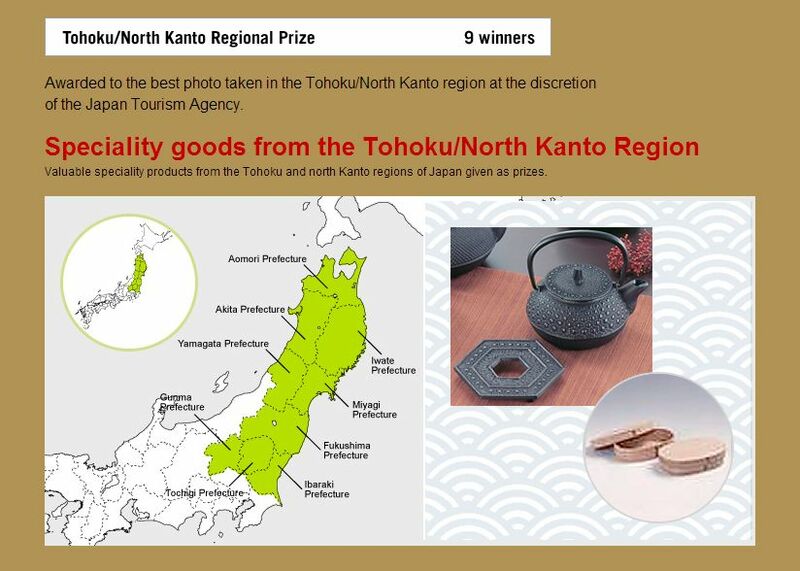 As well as those amazing travel prizes, there are also smaller prizes of speciality goods from the Tohoku/North Kanto region, for photos taken in that region of Japan (I’ve added a photo taken in Nikko, Tochigi and I’m hoping that counts). There are also some small prizes to be won each month and, as I’ve only just got around to entering this, that means I only have one shot at those prizes too. For more information about the prizes, please click here. Wow! Shopping with Misako Aoki! Well, I hope you win some of prizes! That sounds really good. I have tones of photos and I have to sort through them all. Wouldn’t mind a day with the kawaii ambassador!